The University of Wisconsin men’s basketball lost their fifth of last six games Thursday, dropping a late 9-point lead to Iowa. 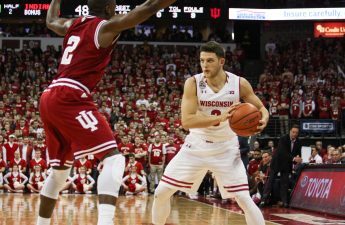 Despite strong play from four seniors in Ethan Happ, Bronson Koenig, Nigel Hayes and Zak Showalter, the Badgers dropped yet another ugly game from some bad turnovers and free-throw shooting down the stretch. 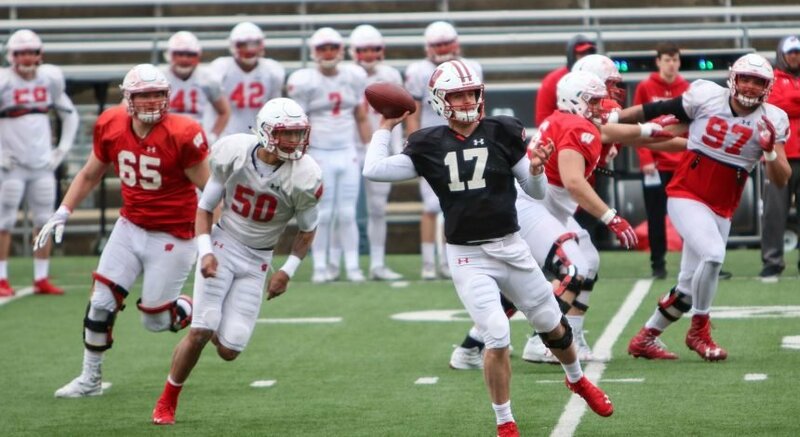 The story just keeps getting more cloudy for UW after the loss, who now sit in a tie for second in the Big Ten with both Maryland and Minnesota. With only one game left in the regular season in Minnesota on Sunday before the Big Ten Tournament kicks off next week, the Badgers now have a very limited opportunity to turn it around and prepare for the NCAA tournament. The Badger senior guard put on a show in the first half against the Hawkeyes, finishing the game with 19 points and 4-8 from beyond the arc. Despite missing what would’ve been the game winning shot with four seconds to go, Koenig played just about as good as he could have and made a statement that are no more lingering issues from his leg injury two weeks ago. While Jordan Bohannon looked like the more dominant player on the night for Iowa, Baer came off the bench to notch a team-high 14 points and earn the Hawkeyes their dominant second half lead. The sophomore forward went off from deep, shooting 4-5 from three and 5-9 total, giving just enough for Iowa to outscore Wisconsin’s bench 24-14 on the game and provide the difference down the stretch. It’s tough to point out a turning point in a game with four lead changes and two teams that each led for at least 12 minutes, but Happ’s two misses from the free-throw line stand out as a huge momentum swing late. 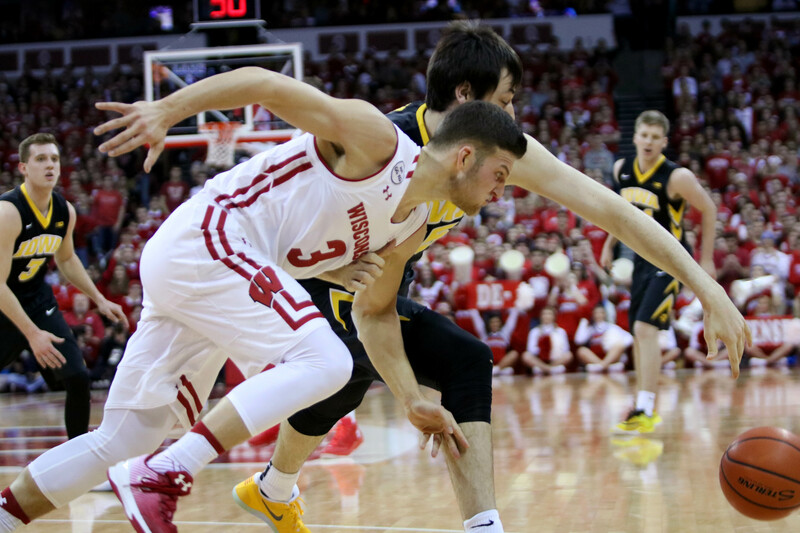 The Badgers sophomore went to the line with the team up by one and just under 30 seconds left, bricking both and giving the Hawkeyes their game-winning opportunity. 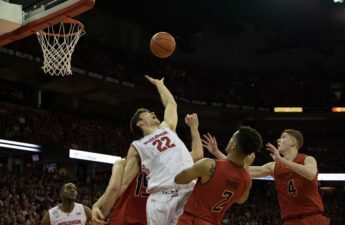 It wasn’t truly over until the buzzer sounded, but everyone in the Kohl Center thought Koenig would have a good chance to win the game as he dribbled it down the court with nine seconds to go. It wasn’t until he clunked it off the back-iron that the game was out-of-reach and the Badgers’ hopes were dashed.